Simon Cowell has splashed out £650,000 (R9 698 000) on a new car and the vehicle is just one of three of its type in the world. Simon Cowell has splashed out £650 000 (R9 698 000) on "the most beautiful car in the world". 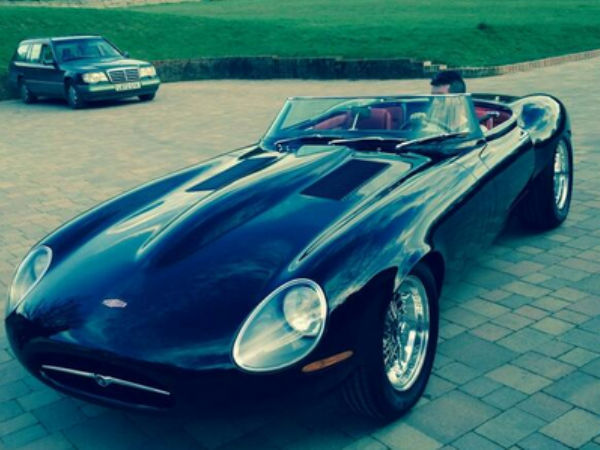 The music mogul ordered the super-rare Eagle Speedster Jaguar after seeing it on UK TV show Top Gear and is looking forward to having it shipped to the US so he can get behind the wheel. Tweeting a picture of his new black vehicle, Simon wrote: "I think this may be the most beautiful car in the world. It's made by Eagle. Thank you Henry, Paul and the team." The car - which is one of just three in the world - was a 1965 Jaguar E-Type but restoration company Eagle brought in expert engineers to improve the brakes, suspension and interior, as well as rebuilding the engine and giving it an aluminium body. Paul Brace, technical director at Eagle, said: "Simon got in touch after seeing it on 'Top Gear'. It is one of three, it’s hand built and we're delighted Simon has the car. He was over the moon when he saw it and we're looking forward to delivering it to him in the US where he can enjoy it in the sunshine." Simon - who became a father for the first time last month when girlfriend Lauren Silverman gave birth to their son Eric - is an avid car enthusiast, and recently splashed out on a Caterham sportscar.